A translation into English by A. S. Kline, narrated by Jack Wynters. Composed around 1294 in Italian, the Vita Nuova tells the story of Dante's encounters with and love for Beatrice, culminating in her early death and its effect upon him. Utilizing and developing the conventions of courtly love, in a mixture of prose and verse, Dante deepens the emotional content of the genre, while pointing the way towards the intellectual and spiritual journey of the Divine Comedy. Indeed the final section of the Vita Nuova contains his commitment to the writing of the greater work, in which Beatrice comes to represent divine philosophy, guiding the poet through paradise towards ultimate truth, and embodying in her earthly and transcendental form the beauty and love which emanate from it. In the Vita Nuova, Dante's own emotional reactions are made the inner subject of the work, in a groundbreaking manner which foreshadows the Commedia's intensity, and the personal nature of the poet's quest, not merely to seek for meaning but to attain it spiritually. About the author: Born in 1265 in Florence, from which he was banished in 1302, dying in Ravenna in 1321, Dante set the Divine Comedy in the year 1300, when he was 35 years old and "in the middle of our mortal life". The setting allows him to utilize the past symbolically, exploit the present politically, and anticipate the future in simulated prophecy. The Commedia throughout reflects his love for "Beatrice" whom he first saw at a young age in a church in Florence, and who came to represent for him intellectual and spiritual beauty. 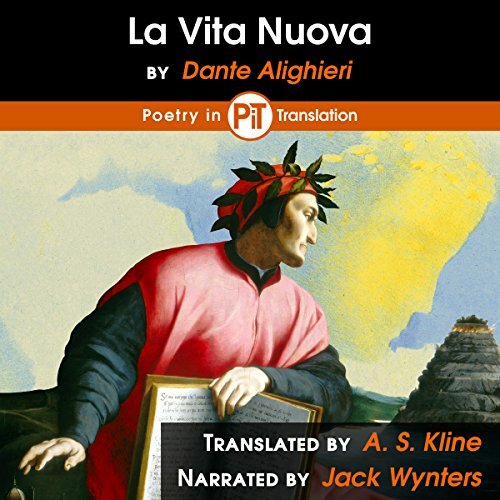 The story of his love for her, her early death, and his inspiration to write the Commedia are told in his prose work La Vita Nuova, or The New Life, of 1294.